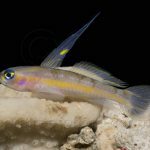 The pint-sized basses of the genus Serranus just got a new species added to their ranks with the description of a stunning new fish from the poorly known tropical reefs of Western Africa. 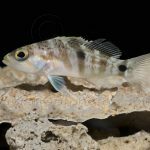 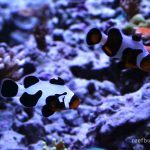 But this fish is no stranger to aquarists, as specimens have been trickling into the trade from Ghana for several years now, going by such confusing names such as the Peppermint Basslet or African Basslet. 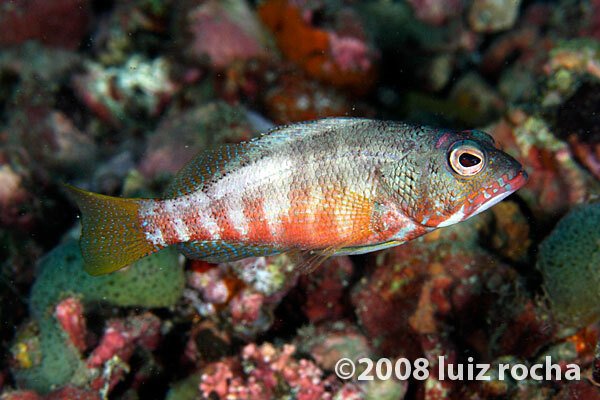 Unlike its close cousins in the Caribbean, the newly minted Serranus pulcher is highly variable in its color patterning, with juveniles sporting a pair of white lateral stripes that appear to fade in the adults. 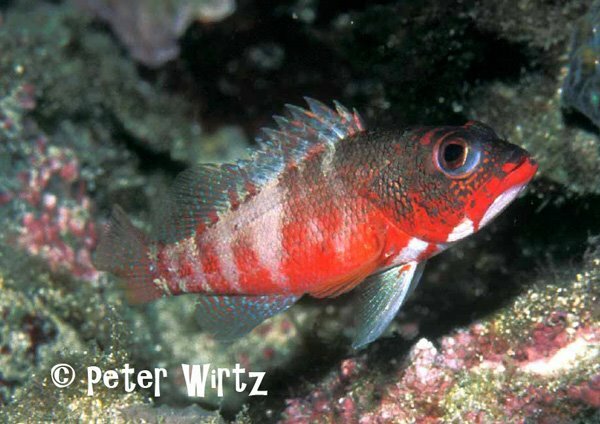 The coloration of larger specimens ranges from a bright red to a rather drab brown and displays a series of thin vertical bars. 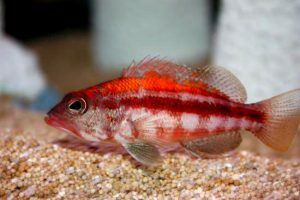 While this fish shows obvious similarities to some familiar aquarium species (particularly the Lantern Bass, Serranus baldwini), its closest relative is likely to be another African endemic, Serranus heterurus, which is known from numerous locations in Western Africa (including Cape Verde and the Congo, as well as most areas in the Gulf of Guinea). While S. heterurus shares many morphological traits, it differs in having a more consistent red coloration and a more cleanly barred patterning. 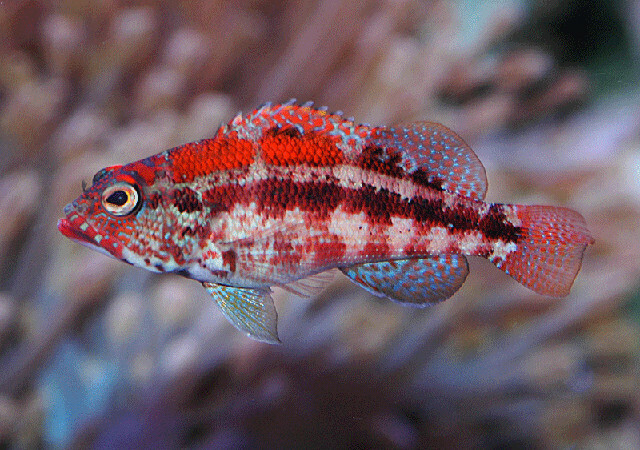 To date, Serranus pulcher has been found at São Tomé and Príncipe, but specimens collected for the aquarium trade from Ghana are also thought to be of this species (though this awaits genetic confirmation). 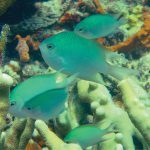 It is reported as being a common fish in shallow waters, down to a depth of at least 30 meters. 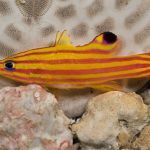 The maximum size is stated at just 9cm, but, despite the small stature, this fish is said to be fairly bellicose in captivity.